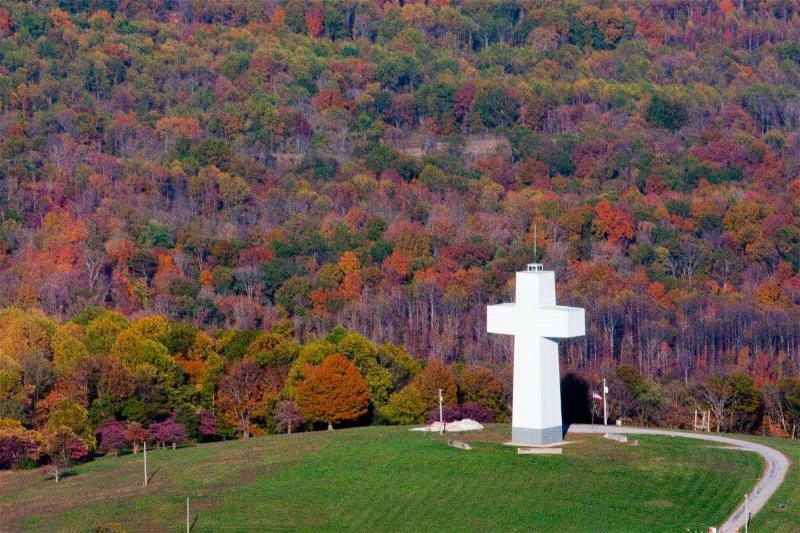 One of the largest crosses in the world is located on Bald Knob in southern Illinois. It towers 111 feet high and can be seen for miles in every direction. However, the cross of Jesus towers even higher. It towers over our vain ambitions. It towers above our petty concerns. It towers over everything that is worldly and unspiritual. It towers above life itself. Let’s lift up the crucified Jesus so that all the world can see the huge impact of the cross. “And I, when I am lifted up from the earth, will draw all people to myself.”—John 12:32. This entry was posted in Christian Living, Communion Meditations and tagged Bald Knob cross, big cross, cross of Jesus Christ, exalting Jesus, I will draw people to myself, illustration, John 12:32, when I am lifted up, witnessing. Bookmark the permalink.